FERC on Thursday conditionally approved NYISO’s deadlines for completing final market power reviews for deactivating generators (ER16-120-007). 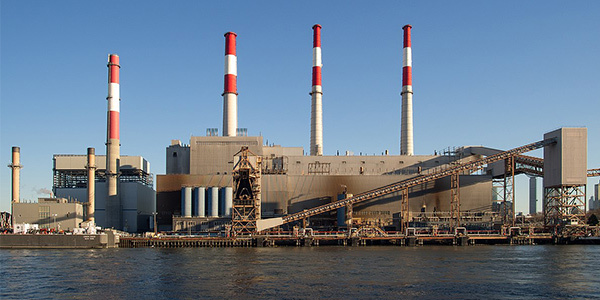 The 2,480-MW Ravenswood Generating Station in Queens, N.Y.
As a result, NYISO must submit a further compliance filing that requires it to provide a deactivating generator final physical withholding determinations at least 60 days before the deactivation date specified in the generator’s updated notice to the ISO, which the resource owner must submit 90 days before the specified deactivation date. NYISO’s Market Monitoring Unit supported the filing, saying it would leave the ISO better positioned to perform its evaluation based on market conditions that are close to the time of deactivation. The Monitor also agreed with proposed “irrevocable action or inaction” rules, which require generators to make irrevocable deactivation-related decisions well ahead of shutdown, saying the provisions properly allow the ISO to apply reasonable judgment to consider and classify deactivation decisions as practicably irreversible even when they are not strictly irreversible. FERC similarly disagreed with IPPNY’s assertion that requiring generators to deactivate no more than five days before and 10 days after their specified date is unreasonable. A summary of FERC orders approved at its open meeting on Nov. 19 related to NYISO, including accepting an Order 755 compliance filing. FERC accepted NYISO’s fourth Order 1000 compliance filing, rejecting protests from transmission developers.